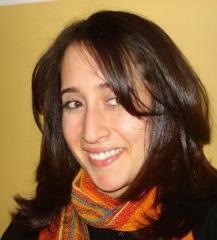 Elena Vazquez currently resides in New Jersey and works as a freelance writer. In 2005 she earned a B.A. in English Literature and Latin American Studies at New York University. She has an unhealthy obsession with books that have started to pile up on all sides of her bedroom. Known to never sit still, she loves to travel and experience new things. She has lived in New York City and Montreal, and can’t decide which she prefers. In her spare time she likes to write, read, peruse fashion magazines, play with her dog Nico, study languages, and daydream about her next vacation. She admittedly has a small crush on chef and travel host Anthony Bourdain, and like him, hopes to one day combine all of her passions: traveling, eating, and exploring.